Ever since I was a child, the ocean has calmed my soul. My parents have always been die-hard beach goers, and as a result, I’m slightly addicted to anything beach related. Shells, sand, ocean, sea animals, you name it and I love it. So, naturally, when I first discovered Eliza Sloane’s line Mermaid by Hand Jewelry, I kinda had a mini-heart attack. Who doesn’t love shells paired with turquoise and opal?! Her creations resonate a love for the sea and I never want to take them off. They transport me to aquatic paradise, and with just one look you can tell they’re made with so much love. I think I could be content only wearing Mermaid by Hand Jewelry for the rest of my life. Over the past year, I’ve been lucky enough to covet a handful of designs from Mermaid by Hand, nearly all of which I wear everyday. When I packed up these treasures to take with me to Tulum, I knew right away that I wanted to style them with one of the mermaid crowns I designed last month. I also knew that I wanted to photograph them in the ocean, but, because Tulum was hit with the worst seaweed invasion EVER, Clint and I had to get creative and think of another way to incorporate the ocean into the photos. What we stumbled upon ended up being so perfect, it felt like I had entered into a mermaid dream, complete with a magical shell crown and ocean fort. On our last morning in Tulum, I woke up at 5:00 am to crawl out of bed and try to tame my mane into something presentable for photos. Humidity does something to my hair that kinda reminds me of a poodle (which is NOT okay). In an attempt to fix my curls, I think I burnt the side of my face three times on account of being way too sleepy from falling asleep close to 1am. That morning the entire sky was a deep blue color dashed with looming clouds across a still starry sky. I spent a moment outside of our apartment, trying to decide if it would be worth it to make the trek to the beach because I couldn’t grasp if it would rain or not. After telling myself that we HAD to shoot at sunrise, I woke Clint up and we made our way towards the sea. When I think back to that morning, it all seems so eerie. Waking up with the sun sets a certain apocalyptic mood no matter where you are. Driving through the jungle to the beach, I couldn’t help but feel like Clint and I were the only two souls left on earth. When we finally found a location to shoot, we parked at the edge of the sand near two deserted hotels and I tip-toed without any shoes to the edge of the water where we decided to start climbing an outcropping of rocks. I wish I could transmit a complete memory of my surroundings from that morning to all of you, because looking around, it truly felt like Clint and I were in some alternate reality where the world was about to end. The hotels on either side of the rocks were completely abandoned as a result of what I imagine was an intense Hurricane that ripped out their windows and left a tragic emptiness. The tropical version of a ghost town. Even the palm trees looked weathered and old, as if our little cove was hit with a storm only moments before we arrived. An old elegant bed frame with a mattress sat on the beach in the distance, like some odd placed item you would only see in a dream. Right when I thought the scene couldn’t get any more dramatic, we spotted a wooden fort at the top of the rocks we were precariously shooting on. Sometimes I think I have way too vivid of an imagination (or maybe I’ve seen way too many movies) because once we were inside the fort I was already pretending that Clint and I were stranded on a tropical island together, in a fort we had built, taking photos for my blog (because duh, even if I was stranded on an island with one other person I would still be blogging and running Wild & Free Jewelry). Alone on the shore of our tropical apocalyptic dream, we spent the morning hopping around the rocks pretending like I was a mermaid in my new shell crown and pretty turquoise jewelry. We watched the sun shimmer in and out of dark clouds as the tides shifted and splashed against the rocks. After, we were both so tired we crawled right back into bed and passed out. When I woke up again, it almost felt like I dreamt up the whole thing. It’s one of those moments you think back to that seems so serene and special you can’t decide if it really happened or not. Two friends, alone in Tulum, exploring like we were kids on the stormy shore of a desolate beach with a wooden fort. The best part is, that I have the photos to prove it was real. A special thank you to Eliza and Clint for making this mermaid shoot so dang perfect. I love both of you so much! 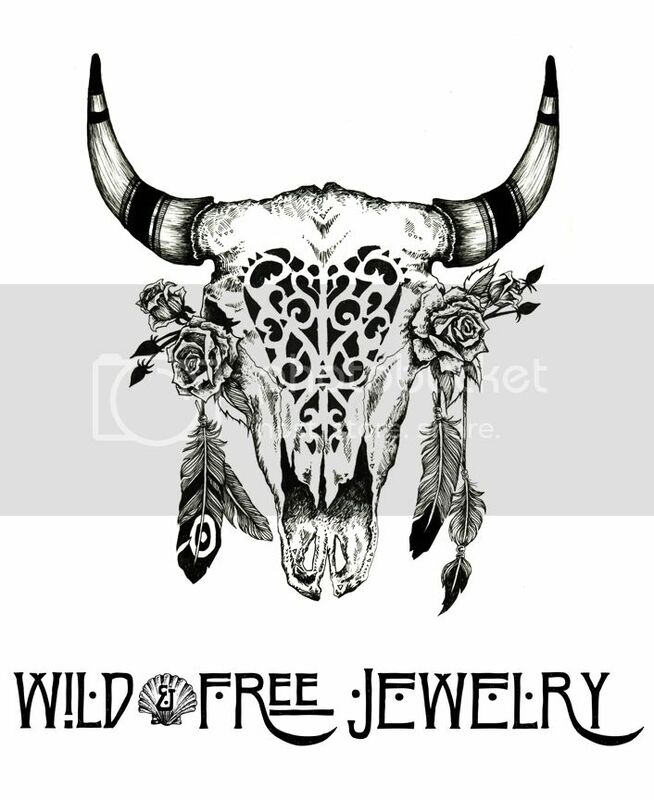 Posted in the wild & free blog and tagged clint robert photography, corina brown, for love and lemons, fpme, free people, mermaid by hand, mermaid by hand jewelry, tulum, wild and free, wild and free blog, wildandfreejewelry. Bookmark the permalink. These photos are gorgeous!! It does sound a little eerie, but also fantastically serene.